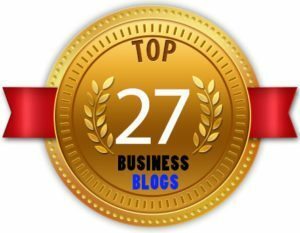 Where Are the Great Leaders in Business? In today’s challenging economy, leaders at all levels are facing enormous challenges when it comes to achieving and sustaining breakthrough operating results. Globalization, economic change, more stringent regulation, and tougher governance make realizing shareholder value increasingly difficult. But there is another challenge: In a breakthrough executive trends global research study I conducted with my colleague, Bonnie Hagemann, which was published by Pearson in 2011, we clearly confirmed that identifying and developing high-potential and emerging leaders is and will continue to be one of the top business issues facing CEOs; 40 to 70 percent of all executives in most organizations will become eligible for retirement in the next five years. In our increasingly knowledge-driven world economy, organizations are right to fear this imminent brain drain, suspecting that, when executives leave the firm, business may follow. Yet high-potentials and emerging leaders—those most likely to rise to fill those highest positions—account for less than 8 to 10 percent of the talent pool. That’s in the United States. In other countries, like Canada, Australia, the United Kingdom, Japan, and China, and in just about every country except India and various countries in Africa and South America, this issue is as pronounced as it is in the United States, if not more so. Therefore, identifying, developing, and retaining such rare talent truly is a mission-critical global challenge for CEOs, senior executives, managers, and HR directors. 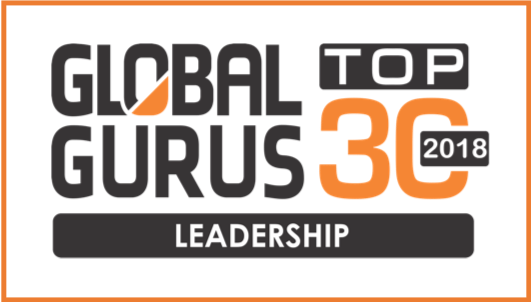 Given this indisputable global business challenge, the implication for current and emerging leaders is clear: the demand for outstanding leaders will soon surpass the current supply and therefore if you are a current leader or emerging leader there will be massive opportunities for you to seize if you are poised and ready. Regardless of your own desire to ascend up the ladder, one thing is certain: all organizations will be asking more of their leaders with expectations, demands, and pressure increasing not decreasing. The demand for truly outstanding leaders has never been higher and organizations are “raising the bar” as they must in order to compete successfully on the global stage. 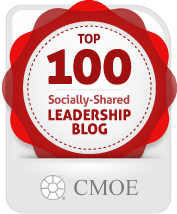 But, where are the truly outstanding leaders in business? As I travel the globe meeting with senior executive teams, coaching executives and speaking to various management groups, it is clear to me that there are in fact very few outstanding leaders in the world of business. There are many very good leaders and there is a vast supply of good leaders. The distribution of outstanding leadership, just like anything else, follows the shape of a bell-shaped curve. I always knew this. Everyone has always known this. But nobody really cared because being a good leader has always been good enough to keep a position and deliver to the basic requirements of that position. But, things are changing-quickly. The bell-shaped curve needs to be replaced with a positively-skewed distribution where all organizations possess a larger percentage of “very good” and “outstanding” leaders at a minimum just to be able to compete. I had suspected the need for this critical shift for a couple of years but it became very clear in 2011 as we were interviewing executives as part of our Trends in Executive Development Research Study (Pearson, 2011) which I co-authored with my colleague, Bonnie Hagemann. 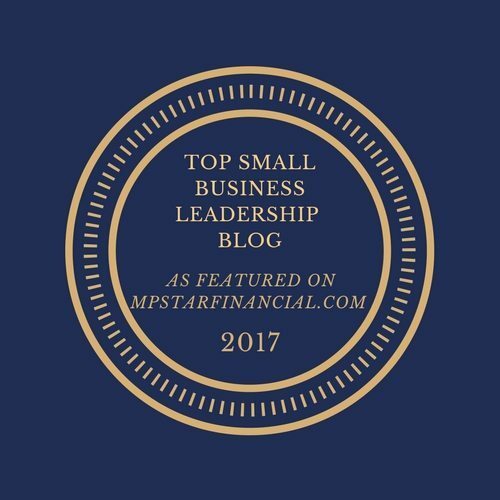 Beyond the actual research, qualitatively, it is interesting to note that roughly 9 times out of 10 when I ask an executive to identify a great leader in their lives who had a positive impact on them and helped shape their values, they mention a former teacher, coach, parent, grandparent or friend as opposed to a business leader. It is an unfortunate statement but true statement that most of us in the world of business can much more quickly identify the poor managers we have had rather than the great ones. But why is this? I believe it is pretty clear that many managers are promoted before they are ready to assume leadership roles. Many managers are not adequately trained, coached and mentored by more seasoned executives who often can share stories and insights that can dramatically shorten a manager’s learning curve. More than anything else, I believe the speed and pace of change in business—technology shifts, demographic shifts and a more demanding operating environment represent massive challenges to most leaders and frankly very few possess both a strong “inner-core” of values, character, beliefs, thoughts and emotions and “outer- core” set of leadership competencies that are truly required to successful navigate these challenges. In the end, we have too many executives beginning to derail or have already derailed because of character flaws or at a minimum just sheer immaturity. It is the 4th of July. I am in my office preparing for two weeks of business travel as I have a number of executive coaching assignments I am working on and I have a couple of keynote speeches to deliver as well. My incredible wife of 34 years, Gayle, went off to work early this morning—she is a registered nurse. My oldest son, Jared 29, lives close to us so I think we will take-in the fireworks with him later. My second, son, Nick 27, lives in Memphis. My daughter, Kristina, 23, is finishing her education degree at Florida Atlantic University, and my youngest son, Matt, 19 is a sophomore baseball player at Palm Beach State College. My wife and I are blessed to have such incredible children. We are so proud of each and everyone one of them. This is the day we celebrate our freedom and independence as a nation. We must never forget the people (our parents, grandparents, great grandparents, great great grandparents and on and on), whosacrificed for the freedom we enjoy today. We live in an age of truly abundant resources—education, technology, people, etc., that we too often take for granted. I am honored and privileged to enjoy the independence and freedom to do the work that I do and love. I am honored and privileged to be surrounded by an incredible team of advisors and business partners whom I consider my “Board of Directors: Jan Jones, who manages my speaking business; Rob Nissen, who manages my publicity; Katrina McKay, who manages my social media strategy; and Tony Colao, who is my literary agent. On this day, the 4th of July, 2012, I want to thank my family, clients, executive MBA students at FAU, and my “Board of Directors”, for all the support and sacrifices you make to enrich my life and my business. I am the person and professional I am because of you. Happy 4th of July! 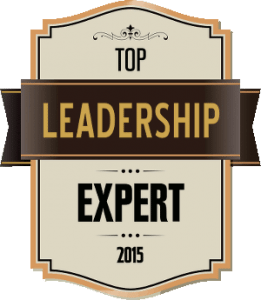 Business Challenges & Trends: Massive Leadership Opportunity or Potential Derailer? The pace of change in business is dramatically faster than it has been in previous eras. Megatrend advances in the fields of technology and communication have dramatically impacted the way firms conduct business. Top executives in firms today report hyper-competitive business environments and more globalized patterns of operations than ever before. Technological advances continue to dramatically impact both communication infrastructures and as well as the strategic business decisions executives make in terms of trade, resources and competition. Given this, leaders of the future will need to be savvy conceptual and strategic thinkers. Leaders should also possess deep integrity and intellectual openness, find innovative ways to create loyalty, lead increasingly diverse and independent teams over which they may not always have direct authority. Great leaders must have the maturity to relinquish their own power in favor of creating and fostering collaborative approaches inside and outside the organization. To successfully develop this combination of “inner-core” and “outer-core” capability, the leaders of the future will likely need to “shift” and strengthen much of the thinking and behavior that propelled them to the top of their organizations in the first place. According to the Hay Group’s Leadership 2030 Research Study, if leaders want their organizations to survive and thrive in the next twenty years they have no choice but to dramatically “shift” and strengthen how they lead. If they, themselves, want to survive and thrive, they must change how they lead. To survive the future, leaders must possess the capability to help their organizations win the race of innovation, global presence, and talent. In their breakthrough study, the Hay Group identified six megatrends that will affect organizations and their leaders profoundly over the coming decades: Globalization; Scarcity of Resources; Demographic Changes; Growing “Freedom of Choice”; Digital Age; and Harnessing Technology. 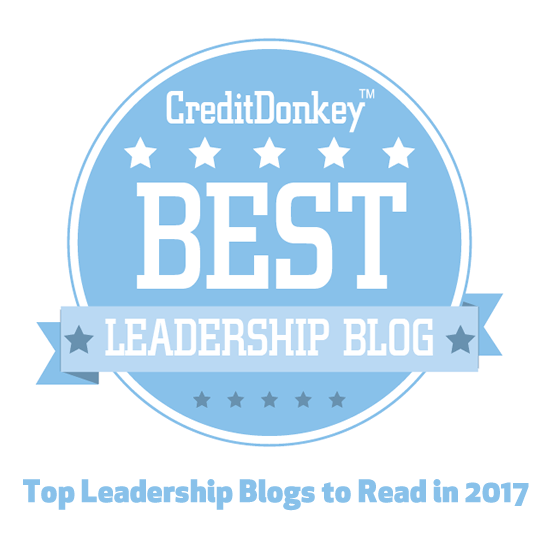 I have identified below, a few of the trends that I believe will have a dramatic impact on you—the current and emerging leader—as you strive to become the absolute best leader you can be. My sincere hope, desire and passion is that you continue to sharpen your “inner-core” and “outer-core” so you recognize and embrace these challenging trends as real opportunities—pathways to unlocking and unleashing the massive capability you possess and pathways to true leadership greatness. As I meet and coach executives, I hear a lot from them about how they view change within their organizations. Most are quick to point out that the challenges their own organization faces now are much more complex than they were five years ago. When I ask them, “Why do you think this is true”? They talk about constant changes “internal” to their organization such as structure and process changes as well as a myriad of external challenges such as market volatility, talent shortages, globalization, competition, technology, cost and profitability pressure, and rising customer expectations. Innovation. Everywhere I turn, every leader I talk to, is searching for the next big idea. This imperative, drives pressure and challenge for all leaders and future leaders because now they must lead and participate on task forces, cross-functional teams, and participate in “off-site” innovation training programs. The need to excel as a collaborator and mediator is no longer a “nice to have” it is a “must have” capability. 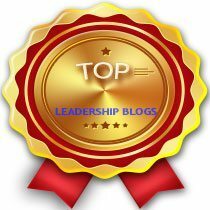 I have learned that in most organizations, most leaders and future leaders are involved in multiple “innovation” projects that involve searching for and implementing new products as well as processes such as talent development initiatives, reward and recognition programs, and benchmarking projects. With increased globalization, my clients have to efficiently and effectively bridge geographical, cultural, and functional boundaries. I truly believe that being effective as a “virtual” leader is different than being effective as a “face-to-face” leader. The skills of communication are critical. Possessing the capability to engage in clear, consistent, and frequent communication using a variety of collaborative technologies will continue to be important skills for all leaders and future leaders. Of course, firmly embedded in the skill of effective communication, are the “inner-core” elements of character, honesty and integrity. Great leaders possess the ability to “velcro” their people and teams to their mission, vision and strategies. This will continue to be a challenge as people’s careers play an increasingly important role in their quest for self-fulfillment. Generation X and Y people crave greater convergence between their personal and professional lives. They demand recognition, self-development opportunities, work-life balance and more than anything they want to be engaged in their work and careers. I believe that leaders and future leaders, given changing demographics, will need to be diligent and passionate about generating personal loyalty with their people by truly building relationships with their people based upon rapport, trust and credibility. Clearly, leaders who have a strong “inner-core” and “outer-core, will possess the capability to “velcro” their people and teams to them and the vision, mission and direction they must communicate and execute on. Every June, Major League Baseball drafts (selects) 1500 players from high schools and colleges across the US and Puerto Rico. It is important to understand that this player pool of 1500 is a very select group as it represents an extremely small percentage of the total population of players who play high school and college baseball. It is also important to understand that fewer than 10% of the 1500 will eventually play major league baseball. What does this mean? Yes, it is nearly impossible to make the major leagues! But it also points to major league baseball’s objective and proven talent “sifting” processes that result in: (1) the initial identification of an elite group of 1500 players who need to be developed and nurtured and (2) the later identification of the absolute most elite and talented players who are deemed “the best of the best” — major league players. Let’s examine the “sifting” processes used by major league baseball—since these processes and tools have relevance for how organizations can more accurately determine and differentiate who their high potentials and successors should be—who their future major leaguers should truly be. First, major league scouts and talent evaluators understand the difference between skills, performanceand potential. In fact, they rate players and potential draftees on three scales: (1) present performance—actual numbers produced (for position players—batting average, home runs, errors, etc. ); (2) skills (for position players—running, throwing, fielding, hitting, and power); and (3) potential—same scale that’s used in number 2 but they estimate future skill ratings based on how they see a player growing, maturing, etc. In terms of weighting—actual performance means very little—in fact, there are many players who produce great numbers in high school and college who are never drafted. Once a player begins their professional career, however, their performance becomes more important especially as they ascend up the ladder of competition—moving from the low minor leagues to Triple A baseball which is one step from the major leagues. An assessment of a players’ current skills is slightly more important than actual performance, however, when compared to estimates of potential—it pales in comparison. Early estimates of potential are often wrong. There are many 1st round draftees who never make the major leagues—and conversely there are some late round draftees who were not seen to have great potential—yet they do make the major leagues. On average, however, there is a high correlation between the round a player is drafted in and their actually making the major leagues—meaning that scouts are pretty good at calibrating and re-calibrating potential. How do they do it? They understand and differentiate performance, present skills, and potential. They have a clear concept of what a major league player looks like—skills required, body type, and mental make-up (the “DNA”). They isolate the micro-skills and “DNA” that predict success as a major leaguer—they assess hand-eye coordination, quickness, speed of the ball off the bat, bat speed, mental resilience, etc—the skills and traits that tend to endure—regardless of situation and level of competition. They calibrate and re-calibrate by placing potential major leaguers in progressively more challenging simulations—that reveal “probabilities” of being successful as a major leaguer. A player who performs well in triple A is more likely to perform well as a major leaguer than someone who performs well in the lower minor leagues. What’s the end result? The 650 players who play major league baseball—with few exceptions—all belong there—they are truly the “best of the best”. This leads me to ask two important questions: (1) Are your current manager and executive teams comprised of true major leaguers? and (2) Who are your future major leaguers? If your organization is representative of the organizations we consult with—you have a large percentage of major leaguers but you probably also have too many minor leaguers—right? That will need to be dealt with as we all know you cannot compete in the major leagues with minor league players. It is also vital, however, that you begin creating and implementing well validated, compelling and accurate “sifting processes”. This will ensure your organization accurately identifies, develops and promotes your future major leaguers. Performance is often measured two ways: (1) using a performance appraisal system/review where the incumbent is assessed by their direct manager; and (2) a 360-degree process that lends greater objectivity to the assessment of actual performance because of the multi-rater aspect. The 360 should never take the place of the formal review, however, since raters will be less than honest if they perceive the 360 is to be used for this purpose. It can be a powerful process for teaching objectivity, honestly and dialogue and as such can often lead to more objective performance reviews. Performance is often evidenced and measured in certain core predictive components—capability (skills and knowledge to execute—the “can do”); commitment (passion, drive, motivation, DNA—the “will do”; and alignment (degree of connectedness to the mission and how well a leader aligns his people—the “must do” to execute). These predictive components—if present—provide the foundation for the achievement of operating success. 360’s are very good at measuring all three—but primarily in terms of performance assessment against current job requirements. Estimates of potential—if they are to be accurate—must start with accurate profiles of success (i.e., you need to know what a major league player looks like). 360 information and performance review information need to be considered—however, much more emphasis needs to be placed on calibrating future estimates of capability, commitment and alignment. Using simulation—measures of performance potential—is a great place to start. Using an assessment center or on-line objective simulation is a great way to assess “can do” or performance potential. You need strong measures of “will do” and “must do”—DNA measures that reliably measure core values and attributes and potential de-railers—components of the personality that reveal themselves consistently and regardless of role—are critical to add to the mix. Using objective behavioral interviews where managers are asked to reveal experiences or “how they would respond” against the competencies required for success in future positions are also important. Using a measure of critical thinking—such as the Watson Glaser—is also important to add to the mix as we know that critical thinking is an accurate and reliable predictor of executive success. What can business organizations learn from Major League Baseball as it relates to succession management processes and tools? The importance of differentiating performance, skills and potential. Implication: performance reviews and 360-degree assessments should be utilized to calibrate a leader’s performance and present capability. Potential is more elusive. However, you can mitigate risk by calibrating and re-calibrating the more enduring micro-skills, competencies and traits that tend to endure over-time regardless of the situation or challenge. Implication: predictive trait assessments that measure a leaders’ enduring values and goals, behavioral tendencies and critical thinking—are all very important measures that help accurately estimate a leaders potential. What also helps is seeing how they act and respond to the tougher situations and challenges that come with larger roles without actually being placed in the larger role (e.g., simulation assessments—assessment centers, on-line leadership simulation assessments, and behavioral interviewing are powerful tests of leadership potential—especially when combined with trait and critical thinking assessments. Calibrate and re-calibrate performance and potential. The disappointing reality in the corporate world, however, is once an individual is designated “high potential”—invariably they remain a “high potential”. In professional baseball, once you are drafted and deemed “high potential”, you begin an arduous journey in which talent evaluators, scouts and coaches measure and calibrate a players performance, skills and potential—every step of the way—every day. In fact, “high potentials” in professional baseball have no guarantee they will remain on the “list”. Inevitably, most do get removed as they are replaced every June by the next wave of “high potentials”. It’s “put up or shut up”! 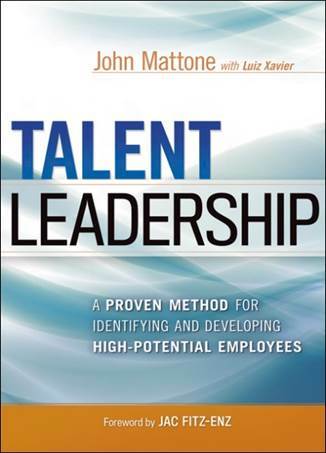 Implication: organizations need to become more passionate and diligent about measuring and re-measuring performance and potential and they should use this information to: (1) hold their “high potentials” more accountable so they strive to become the best they can be and (2) drive better succession and development decisions. CEO of a Fortune 500 company one day—fired the next day. The recent news of Scott Thompson, former CEO of Yahoo, losing his job because of a resume scandal is noteworthy not because of the blatant lies he made—yes, he lied about his degree and then said it was an “inadvertent” mistake; it is only noteworthy and compelling from my standpoint because it proves again that an individual’s character (or lack thereof) will determine their ultimate destiny. If I were talking with Mr. Thompson I know he would have never predicted this fate. He embarrassed himself, his family, and all of Yahoo from the Board members to the janitors. 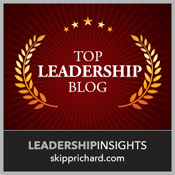 I am often asked by major corporations to come in speak about how to identify future leaders and what to look for. How do we know who has high-potential is the question I am asked. My answer is always very clear: you need to look for character. As I work with executives and high potentials, my primary focus is in identifying those unique strengths that each leader has that must continue to be nurtured, strengthened and leveraged in order for them to become the best leaders they can be while at the same time helping their organization achieve its’ goals. I am also passionately focused on identifying in partnership with each coachee those unique development needs that need to be addressed. The most effective way to change a leader’s view of themselves and what they are capable of becoming is by changing their reference reservoir. This means that they must learn to succeed. The more success they can create—the more chances they will have to interpret their success as permanent, pervasive, and personal. The key lies in getting leaders to create more positively charged references where they have no choice but to interpret both the causes and consequences of those references in permanent, pervasive and personal terms. Your goal as a coach is to get your coachee to a point where they interpret whatever setbacks they experience in less permanent, pervasive and personal terms. Your ability to help your coachee create a “more vs. less” dichotomy is based on getting your coachee to take reasonable risks—to take positive, constructive action, accept the consequences of their behavior, course correct, course correct again, and never give up in their pursuit of positive constructive change. Achieving this is certainly easier said than done. However, a great place to start is with a positive, self-affirming value system. The self-concept consists of many elements including what we just discussed—the reference reservoir and belief system. But it also includes a leader’s value system, in which we always see their elements of characterplayed out. As a coach, if I can isolate a leader’s value system, I will have also isolated their character—they are intertwined and cannot be separated. Great leaders—truly great leaders possess character. In his book, Character Matters, Mark Rutland says, “The word, “character” is from a Latin root that means “engraved”. A life, like a block of granite carved upon with care or hacked at with reckless disregard, will at the end, be either a masterpiece or marred rubble. Character, the composite of values and virtues etched in that living stone, will define its true worth. No cosmetic enhancement, no decorative drapery can make useless stone into enduring art. Only character can do that.” Only character determines ultimate destiny. There is nowhere to hide. Not even the executive suite is safe from the changes sweeping business today. In fact, the impact of those changes is felt most keenly at the executive level. CEO’s, COO’s, CFO’s, and senior VP’s—like everyone else—have to hit the ground running and keep running fast. Stockholders and stakeholders demand fast results. Teams must work more efficiently under greater pressure. 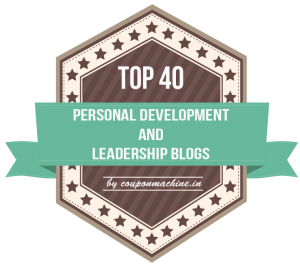 High potentials and emerging leaders need to be identified and developed earlier and more effectively. Business savvy—always important—has been taken to new heights. Add to this the quest for job satisfaction and life balance and you have the dynamic tension that creates the vital need for executive coaching. 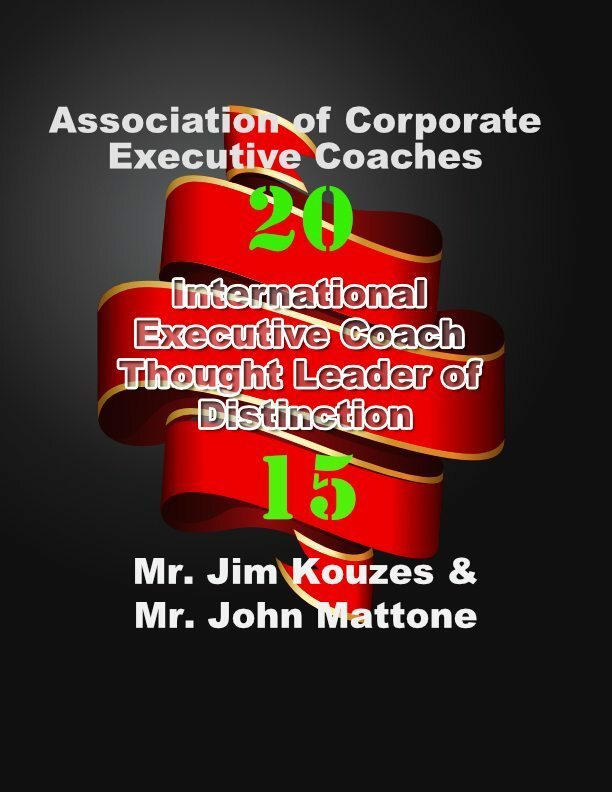 Executive coaching is a professional process that links individual effectiveness to organizational performance. It is a strategic process that helps organizations attract and retain great leaders, enables executive teams to improve leadership and team performance, and supports senior executives responsible for making crucial business decisions and achieving outcomes. It truly provides the “shock absorbers” on the often bumpy road of organizational change. The powerful advantages in the leadership development process, particularly in areas where performance goals are at risk, has moved coaching top-of-mind for executives and HR leaders alike. Yet there is still a tremendous gap between what is expected of executives and the available resources to help them acquire both the inner-core attributes and outer-core skills and competencies required to achieve those expectations. Executive coaching closes that gap. 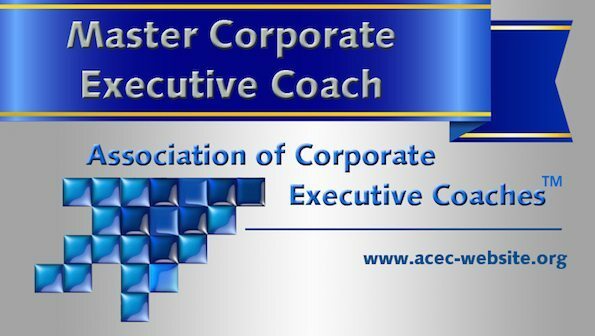 The reality, however, is that while executive coaching is top-of-mind for executives and HR, only 35% of the organizations we surveyed in our Trends in Executive Development Research Study (Pearson, 2011) utilize executive coaching as part of their high-potential developmental programs. By comparison, 48% of the organizations utilize executive coaching for their VP level and above executives. For high-potentials, organizations continue to emphasize developmental job assignments (70%) and custom training programs (51%), as their primary developmental strategies. We were surprised to learn that 65% of the organizations we surveyed do not cite executive coaching as an important developmental strategy for their high-potential and emerging leader talent pools. I see this as a significant issue and opportunity for organizations especially in light of what different generations expect from their employers (i.e., Generation X want a casual, independent, flexible environment, and a place to learn; Generation Y want a structured, supportive, and interactive environment). More than anything else, it is critical to understand that both generations make-up nearly 100% of any organization’s future leader pool and both generations crave continuous growth and “connectedness” with people. Executive coaching represents a powerful strategy for meeting the continuous growth and “connectedness” needs of your future leaders. 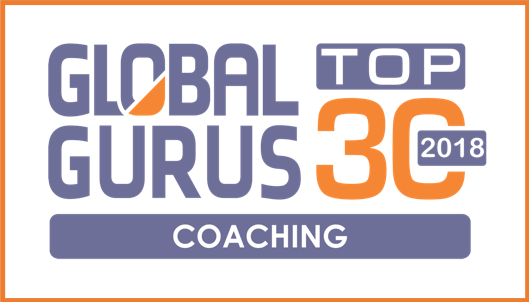 That said, there is a lot of variability in the world of executive coaching. Just like anything else, there are effective and ineffective executive coaches. It is important to never underestimate the importance of hiring external coaches who have a solid “operations” mindset and who have had experience on the “firing line”. Building trust and empathy with high-potential coachees is everything and I have found that having operations experience goes a long way toward helping a coach build rapport, trust and credibility with a coachee. It is also important to understand the “philosophy” of the coach you are considering partnering with. They should be able to verbalize their philosophy concretely, without hesitation. I am a believer in leveraging the coachee’s stakeholders and mentors throughout the coaching process. The strength and success of any coaching intervention is in direct proportion to how well the coach has created and facilitated a “coaching process” whereby the coachee actually learns more from their stakeholder and mentor interactions than the coach. The goal of any great coach is to create a foundation of continuous self-discovery and “connectedness” learning for their coachee that endures well beyond the conclusion of the coaching assignment. I just got back home to Orlando after spending Monday and Tuesday in Washington, D.C., at The Talent Management Alliance Conference on Assesssing & Developing High-Potentials. I was honored to keynote and chair this event which was attended by well over 125 VPs and Directors of HR and Talent Management. What a fantastic event! I enjoyed meeting and connecting with many outstanding leaders and practitioners in the field. My focus in many of my talks is getting operating leaders and HR to understand the predictive relationships that exist between the quality of their leadership assessment and development practices and operating results such as EBITDA and revenue. Less than a year ago, my colleague Bonnie Hagemann and I researched and published a major executive development and trends study with Pearson that clearly identified that most organizations have a long way to go in strengthening the very talent management practices that do in fact drive operating success. Yes, positive strides have been made, however, across the board–regardless of size, industry, country, etc., there is much that needs to improve. I heard many insightful presentations from the talent management leaders from GE, Wal-Mart, Southwest Airlines, Ingersoll-Rand, IBM, Cargill, Siemens, etc., and it was reinforced again that the Need to Identify & Develop Leaders and Future Leaders is the #1 issue facing businesses today—this is and will be the issue defining the next 10-20 years in the world of business. In one of my speeches I talk about “Twenty 2020”–my research-based concept that identifies the twenty talent leadership practices and processes that need to be “optimized” NOW by any company in any industry to mitigate operating risk and ensure they continue to operate at least until 2020. It is one of my most popular speeches. Based on the presentations I heard, however, while most of the big companies have fairly sophisticated approaches (i.e., on paper) to handling this challenge they continue to struggle executing what’s on paper. For most of the mid-sized and smaller organizations, the gap between “where they are” and “where they need to be” is even greater. In today’s global economy, it is critically important that organizations optimize their investment in human capital. Only the human capital asset can provide an organization with any real hope for meaningful market differentiation, positive branding, superior execution and ultimate operating success. Business strategies which are overly weighted towards developing new technologies or cost controls—for example, without the proper weighting of the human capital assets required to execute strategy, will result in a disastrous, short-lived plan that will lead to doom. All assets, except the human capital asset, eventually become commodities. Beyond this, a host of external factors—an aging baby boomer population, job market instability, declining birthrates, and worker “migration”—are combining to make it extremely challenging for organizations to optimize their investment in human capital. For most organizations, it is just plain difficult to find and keep good talent. Shifting world demographics, the aging workforce, and global mobility, as well as a myriad of internal challenges (i.e., limited resources, skill gaps, insufficient leadership skills, etc.) are forcing organizations to re-think their human capital management strategy. Talent shortages at the leader level are exacting a heavy toll on growth and costs. Some organizations are literally sitting on capital, unable to expand into new markets or make critical acquisitions, due to a lack of leadership talent. Other organizations are spending millions on recruitment as they scramble to fill key positions. The cost of training new managers and executives is equally taxing. Of greatest concern are the costs of poor decision making as organizations are forced to place less qualified individuals into leadership positions. Poor leadership can translate into millions in lost profits and missed opportunities. First, organizations (and their leaders) must believe that the human capital asset is the most critical variable in driving operating excellence. Everyone must be enlisted, coached and cajoled (if needed) in support of this belief. There are numerous challenges—external and internal (tied to the 4 D’s above) that organizations and their leaders encounter—if unsolved, these challenges will exact a significant toll on the health and vibrancy of an organization’s performance. There are clear, convincing and powerful relationships that exist between an organization’s operating results and the relative strength of their 4 D’s—top performing firms and their leaders understand, respect and act on these relationships. There are also clear and proven predictive relationships between certain human capital “leading indicators” and their impact on individual and team performance as well as operating results. Likewise, the top firms and leaders understand, respect and act on these relationships. The foundation for continuously improving these “leading indicators, isassessment and calibration. Organizations that excel in selecting, promoting and developing talent—rigorously and passionately assess “leading indicators”. Assessments geared to leaders, individual contributors and teams enable calibration and re-calibration on the “leading indicators” so they can course-correct and improve their ability to predict and realize operating success. Bench Strength Issues. The need to develop corporate executives and identify and develop high-potential and emerging leaders has reached an all-time high. This issue isand will continue to be a major factor in contributing to “sleeplessness” in the C-Suite (more on this below). 70-20-10. 70% of an executive’s development is based on what they learn on-the-job and structured developmental experiences; 20% is based on what they learn from others, including mentors and coaching; and, 10% is based on targeted training and educational experiences. What is clear from our research, is that this concept is now widely accepted and practiced across multiple industries and geographies. Critical Thinking. For the first time in the many years we have conducted this research, organizations cited the primary development need for incumbent and emerging executives as being critical thinking (more on this in a later blog). The need to identify and develop leaders and future leaders was clearly identified by respondents as the most influential condition and the top objective in executive development. Respondents placed a heavy emphasis on the need for clear succession plans with adequate depth and development of bench in order to ensure the strength of the succession plan. As Warren Buffet once said, “Risk comes from not knowing what you are doing.” No organization wants to run the risk of having leaders who don’t know what they are doing and with this year’s research we see some fear that this is exactly what is going on. As I have written about elsewhere, it is vital that organizations take steps to mitigate their risk now and in the future and it is clear that one powerful way of doing this is by accelerating the development of their high-potential and emerging leaders. Now is the time for talent leadership.